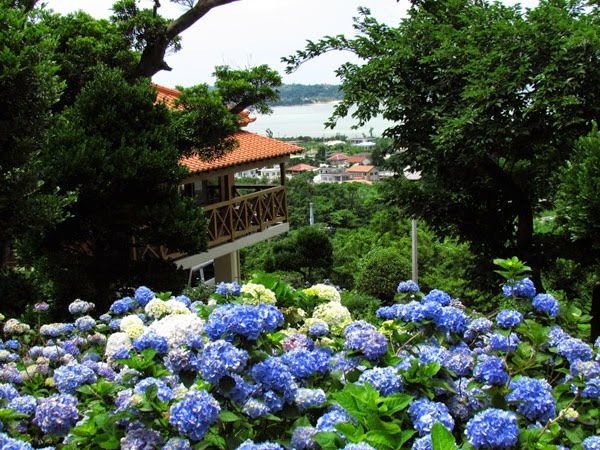 A small cafe with a wonderful view, the Hydrangea Cafe sits comfortably overlooking the ocean. 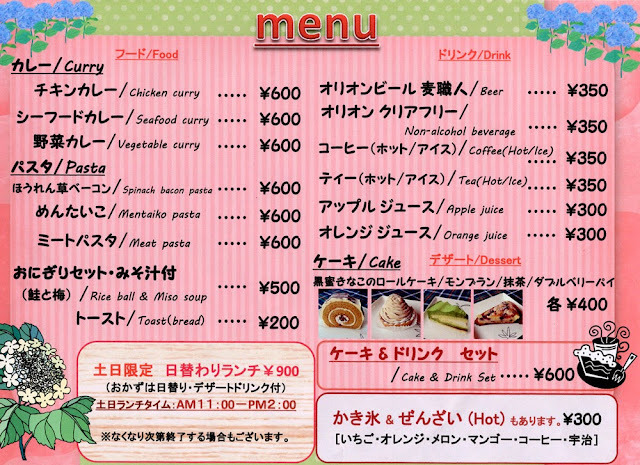 The cafe named after the Hydrangea flower, is owned by Mr. Sueyoshi who opened the cafe on 18 May 2013. On the surrounding hillside is his garden. During the months of March and April it's filled with Begonia flowers followed by Hydrangea's in May and June. On or off-season, the Hydrangea Cafe is a great place to relax and enjoy. Please see information below entrance fees and times. Parking. There is designated parking under the cafe. Or you can at the bottom of the hill. Directions/Parking. Take Highway 58 north into Nago City. 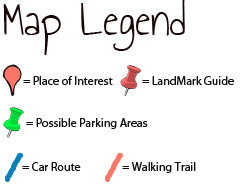 Please study the map carefully since there are no official street signs directing you the way. 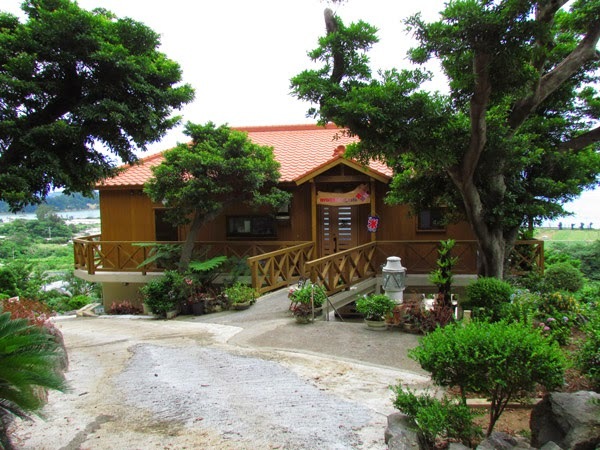 The cafe resides in the northwestern part of Nago City. If you pass Highway 14 you have gone too far. 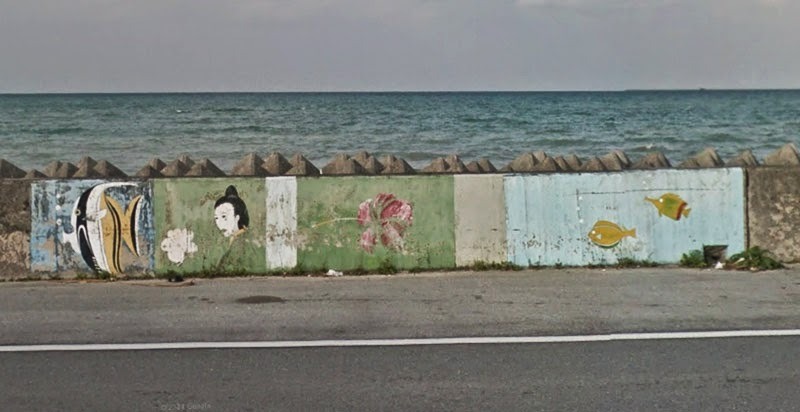 There is a graffiti picture on the seawall opposite of the turn-off. 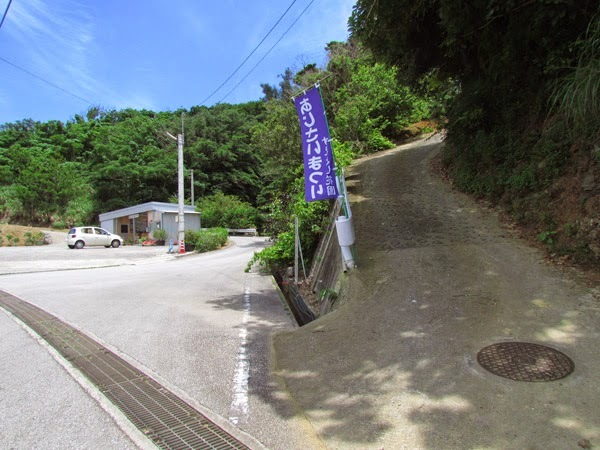 Once you make this turn, the cafe parking area is about 500 meters. You can park at the bottom (large lot) or take the road going up to the cafe. There you can park underneath the cafe building. Recommendations. Flower viewing. June marks the beginning of typhoon season. 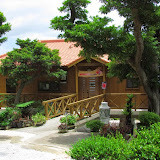 It is highly recommended that you should visit the garden prior to the first typhoon. Route Recommendations. 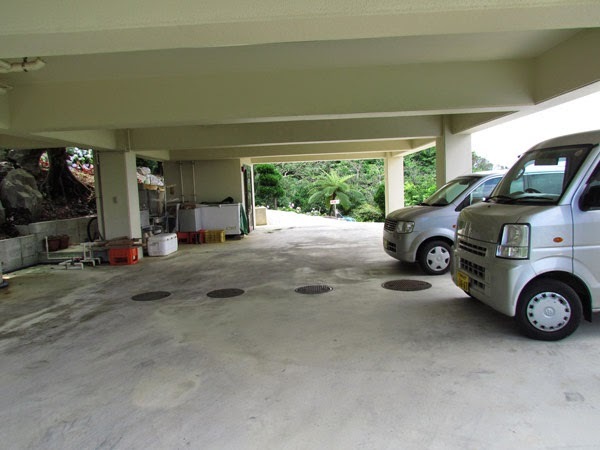 On weekends the merging traffic from the Okinawa Expressway onto Highway 58 will cause long delays. If you are taking the expressway, it is recommended that you get off on Exit 9 in Ginoza Village, then take Highway 329 north passing Camp Schwab. Then take Highway 331 as if you are going to travel on the east side of the island. Then take Highway 18 taking you to the other side of Nago City. Use the Haneji Dam Route off of Highway 18. This will take you back to Highway 58. Proceed north on the directions above.